The Museum of Printing is dedicated to preserving the rich history of the graphic arts, printing and typesetting technology, and printing craftsmanship. 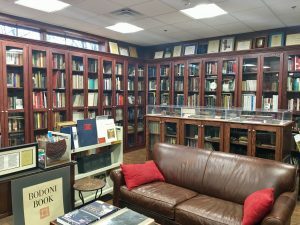 In addition to many special collections and small exhibits, the Museum contains hundreds of antique printing, typesetting, and bindery machines, as well as a library of books and printing-related documents. 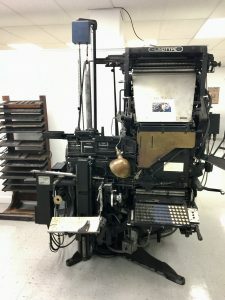 A non-profit organization, the Museum was incorporated in 1978 as The Friends of The Museum of Printing, Inc., to save and preserve printing equipment and library materials associated with the graphic arts. 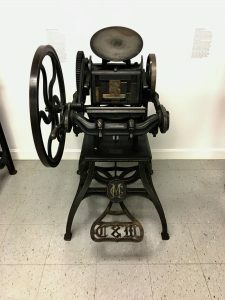 The history of printing has changed dramatically during the last 200 years, moving away from letterpress printing to photographic and electronic technologies. We tell the stories of these changes using one of the world’s largest collections of printing and typesetting hardware and ephemera. The Museum’s building contains a store, several galleries, two libraries, and meeting and workshop areas. The Main Gallery contains printing presses of all kinds. There are also two art galleries with rotating exhibits. The journey starts in the foundry era, which reaches back 500 years. Exhibits explain the transition from hand-setting individual sorts of foundry type to mechanized hot-metal typesetting and discusses the Linotype, Monotype and Ludlow linecasting machines. Along the tour route you’ll find a Monophoto and an Intertype Fotosetter, machines which attempted to use linecasting technology to transition to phototypesetting, only to fail in competition with the electronically-driven phototypesetters. The Museum has the only collection of phototypesetting machines, fonts, and ephemera in the world. 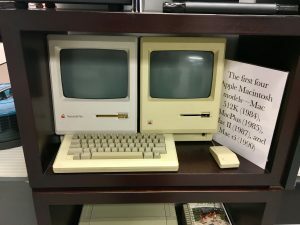 You will see the evolution of office communication, from Mimeographs, Graphotypes, and Addressographs, plus a large collection of typewriters. There are also strike-on typesetters which produce inexpensive type which could be married to the expanding offset printing market. Contributions to the Museum are tax deductible (the Museum is a 501(c)(3) non-profit organization), and donations are always welcome.